This Gospel album was recorded on the 10-11th December 1971 at Roy Homer's basement studio in Clinton, Md. Afterwards, the band cut Curly Ray's They Cut Down The Old Pine Tree LP, to finish off an incredibly productive year. 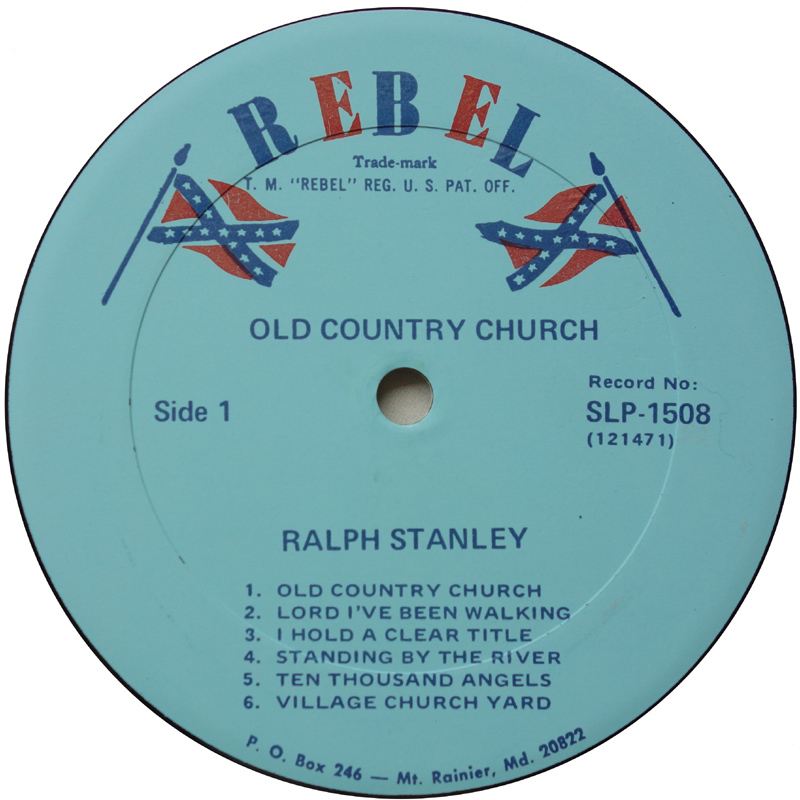 While the critically acclaimed Cry From The Cross recorded in February 1971, was the first to introduce a cappella singing to bluegrass, 'Old Country Church' went way further back with the haunting ancient tones of Village Churchyard. Roscoe Holcomb had performed the hymn with The Stanley Brothers as part of the 1966 European tour, and it's interesting to compare the 1971 recording with version on the 2xCD set American Folk & Country Music Festival. 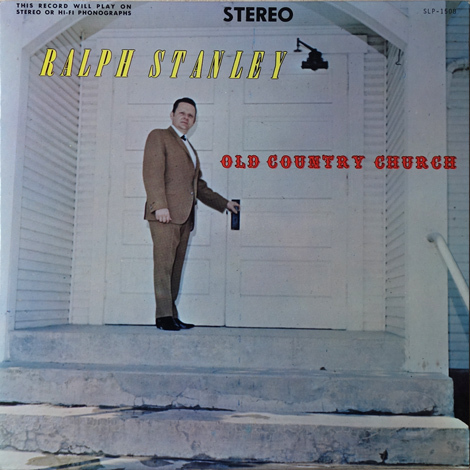 Old Country Church had also been recorded a couple of times by The Stanley Brothers, as an instrumental for Wango and with vocal for King. 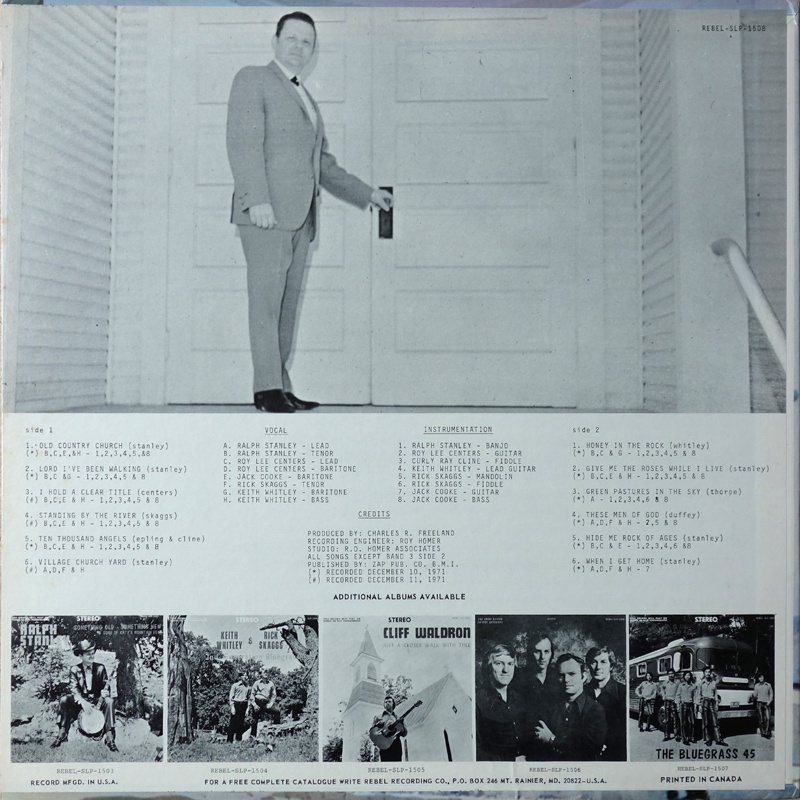 It was also featured on Ralph's 1971 Japanese tour on the Live In Japan release. Give Me The Roses had been recorded by The Stanley Brothers for Wango. 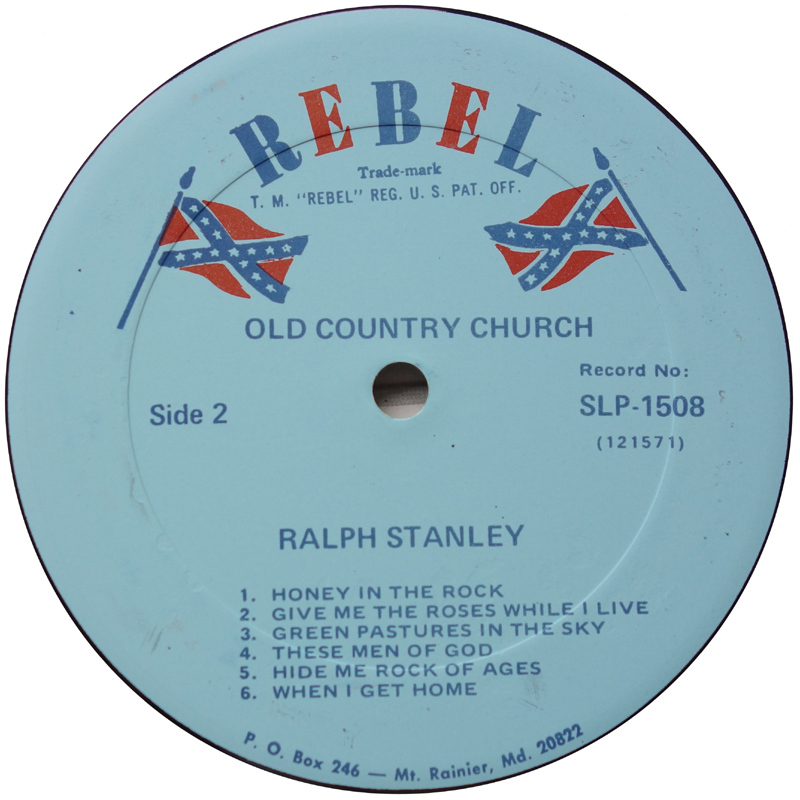 Green Pastures In The Sky was written by Osburn Thorpe, who helped finance Ralph's Jalyn LP The Bluegrass Sound Of.. as well as providing several songs. The song was also recorded by Larry Sparks in 1971 ('New Gospel Songs' (Pine Tree PTSLP 507)). 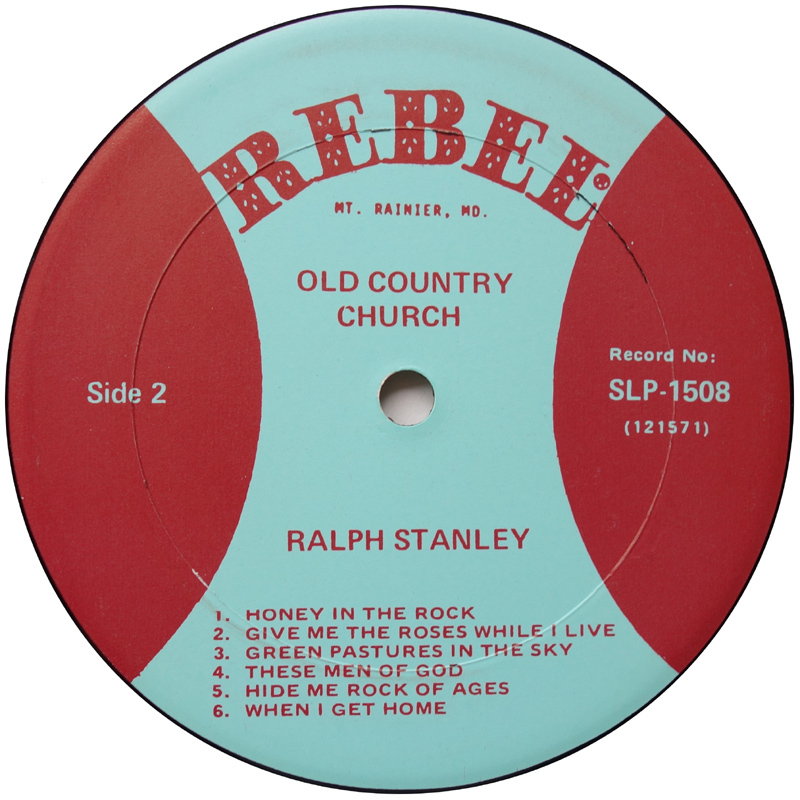 These Men Of God was written by ex-Clinch Mountain Boy Jimmy Williams and Red Ellis, who recorded it for Starday c1960. The song was also cut by The Country Gentlemen (which may explain the original song-writing credit to 'Duffey' on the LP). The tracks on the album all feature on the excellent Rebel 4xCD set 1971-1973, but as they're sequenced in the order they were recorded, some jiggery pokery is needed to hear the LP as it was originally released.